So You Want to Learn More About Us, Huh? Our instructor led SEO Training Workshops are delivered by industry leader and New York SEO expert Steven Scott. 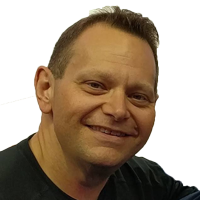 Steve is the owner and Director of Training at the New York SEO Training Academy and has a history in training in the NYC metro area dating back to 1990. Steve has trained and consulted with Fortune 1000 companies and has been a specialist in search engine optimization and web site design since 1998 when he first launched Starship Computer Services as a Search Engine Optimization and Web Site Design agency. The New York SEO Training Academy is part of the Search Engine Academy, a global SEO Training Alliance, and offers participants in New York access to their world-class SEO Training and Digital Marketing Courses. Now available are a 2-Day SEO Basics, 3-Day SEO Advanced and a combined 5-Day SEO Mastery Workshop. NY SEO is owned and operated by Steve Scott who had been teaching the classes out of Tampa, Florida for 10 years and counting. Steve has been crafting customized search engine optimization and digital marketing programs for clients, both large and small, since 1998. He also truly enjoys working with business owner and loves watching a company grow once their web site is optimized, ages a bit, and matures. It has always been his policy to take the time to explain the search engine optimization process in as much or as little detail as each client requires. The recommendations and work performed by Steve and his team continually helps to guide Starship Computer Services web design and SEO clients to the achievement of their online goals. Call us toll free at 888-736-7766 to speak to a New York SEO Expert directly, email us for more information or register today for an SEO Training Class.